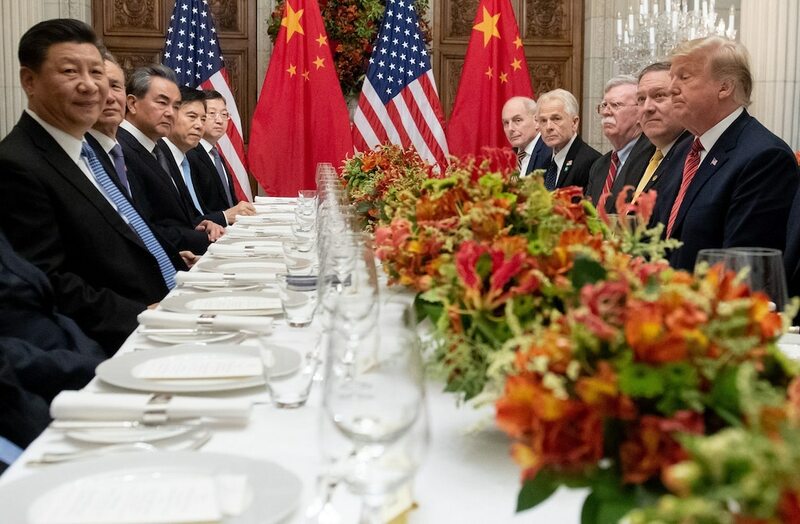 President Donald Trump and Chinese President Xi Jinping are “highly unlikely” to meet before planned escalations in the US-China trade war, a senior administration official told CNBC. Sticking points include rules on intellectual-property theft and state support for high-tech and industrial companies. A meeting between President Donald Trump and Chinese President Xi Jinping may not happen before a temporary truce in the US-China trade war is set to end. CNBC reported Thursday that a senior administration official said the two leaders are “highly unlikely” to meet before a March 1 deadline, after which the Trump administration is scheduled to more than double tariff rates on $200 billion worth of Chinese products. The White House did not immediately respond to an email requesting comment. Treasury Secretary Steven Mnuchin and US Trade Representative Robert Lighthizer are set to meet their Chinese counterparts next week for trade talks. Trade delegations have been laboring to work out a series of sticking points in the ongoing dispute, including rules on intellectual-property theft and state support for high-tech and industrial companies. On Wednesday, Mnuchin said there was “a lot of work left to do” before reaching a deal.